Google Now Rolling Out Mobile-First Indexing — While Google continues to have just one overall index, it’s now migrating sites that follow mobile best practices over to ‘mobile-first indexing’ where mobile versions of pages will be used for indexing and ranking. Swift Rises Into Top 10 Programming Languages — Apple’s open-source Swift has just broken into the top 10 programming languages, swapping places with Objective-C.
Webinar Recording: Let’s Talk Appium — Missed our webinar? 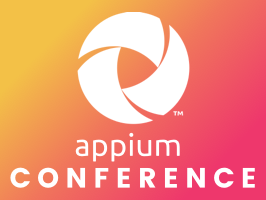 A recording is now available for you to catch up on our panel discussion on mobile automation, Appium, and AppiumConf. Join the mobile dev community and hear from more than a dozen industry experts on 6 April in London. Privacy and Data Protection in Mobile Apps [PDF] — With GDPR on the horizon, this detailed study looks at the security aspects to consider for mobile apps. Maybe worth a look. Android Studio 3.1 Now Available — Plenty of new and updated features, including a C++ Profiler, Kotlin lint checks, emulator improvements & more. Apple Pulls App That Mined Cryptocurrency from Mac App Store — Before you get any ideas about replacing ads in your apps with background coin mining, Apple’s not a fan of the extra CPU usage imposed on users. The Future of Mobile Web Design: Video Game Design and Storytelling? Building PWAs with Vue.js — An introduction to building and auditing PWAs using Vue.js. Ionic From Scratch: Working With Ionic Components — A look at how to use some of the most commonly used components in Ionic mobile apps. How to Turn Your Site into a Mobile App with 7 Lines of JSON? — It leans on a toolkit called Jasonette. A Brief Intro to Using Vue.js with NativeScript — A beginners’ look at how to get started with NativeScript-Vue. Better Mobile Application Testing with Charles Proxy — Charles Proxy is commonly used as a man-in-the-middle style proxy for debugging.